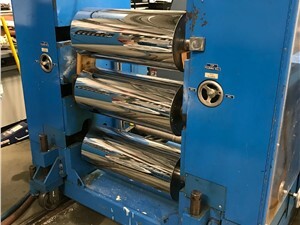 24" Wide Cast Film Stack / Laminator, 3 Rolls, 24" x 18"
Arlington supplies all kinds of sheet equipment known by various nomenclature. 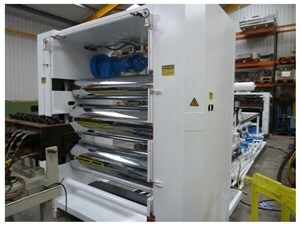 We have Sheet Stack, 3-Roll Stacks, Down Stacks, Up Stacks, Lab Sheet Stacks, Sheet Take Offs, Embossers and Plastic Shears. 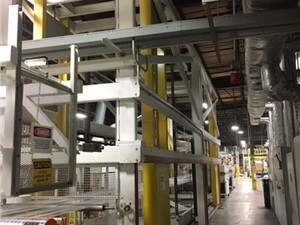 We sell complete sheet lines, but certain components can be sold separately. The “Stacks” are used in cooling of plastic sheet once it leaves the die. Plastic Shears are used to cut the continuous sheet of plastic in to individual section for additional processing or packaging. Embossers are used to make pattern on the products. Typical Manufacturers include Welex, Killion, Gloucester, NRM, Rosenthal, Sterling, Prodex, Davis Standard, Egan and Er-We-Pa.